Medications being an integral part of most of the therapies, Midland Healthcare house a well-stocked pharmacy operating round the clock located within the hospital premises. Right from the rare drugs to surgical materials, all your medicine needs are taken care at the pharmacy. Our stringent quality control measures ensure that medicines are completely updated and of the best quality. We also make sure all the vital medicines are available to our patients anytime, anywhere. 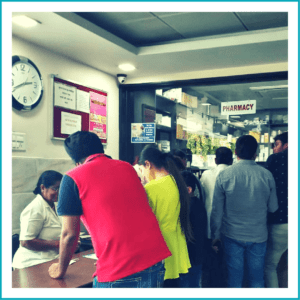 So now get all your prescribed medicines delivered right at your doorstep. All you need to do is simply reach out to our team by calling them at 0522-2988888 or WhatsApp your prescription on +91-7991280002.